The Roslyn Library has one full time employee plus paid library substitutes who work weekends and fill in when the librarian must be gone for meetings, trainings and vacations. There are also library volunteers who help with processing materials, shelving materials, and library programs. For more information, contact Erin Krake, Librarian, at (509) 649-3420. Current library trustees are (left to right) Julie Miller, Diane Januszkiewicz, Tuesday Bosch (Chair), Chris Fitch, and Steve Breyfogle. Members of the Library's Board of Trustees are appointed by the Mayor of the City of Roslyn to establish the library mission, long range plan, and policies as required by Washington State laws and regulations. The information below is the work of many trustees, past and present. Trustees review policies and planning documents through their monthly meetings and annual planning retreats. Trustees are appointed for 5 year terms and may serve a maximum of two consecutive terms. 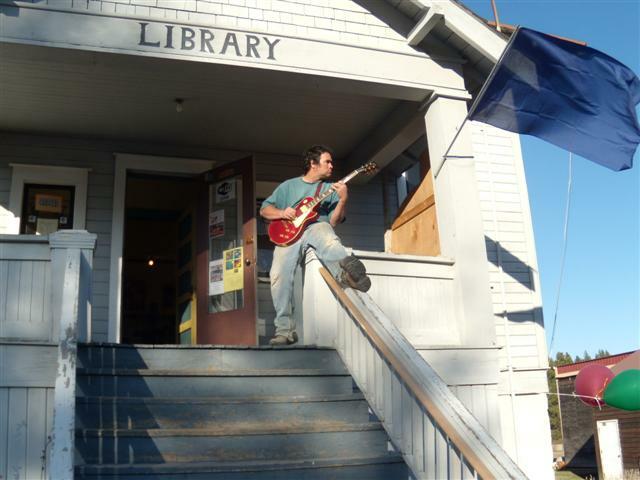 We envision the Roslyn Public Library as a gateway to knowledge for Roslyn and the surrounding upper Kittitas County region. We provide a vibrant center for our community; a dynamic home for culture, imagination and inspiration; a gathering place for communication and engagement. We value Roslyn's unique living history. We encourage literacy, provide free access to up-to-date resources for all ages to enable life-long learning, and respond to the changing needs of our changing community. We offer a wide variety of resources including books, magazines, videos, programs, and technology. We are accessible to all. Our library serves diverse interests, needs, abilities, and backgrounds; provides excellence in service to all; and maintains our distinctive style and atmosphere. We work to make this vision a reality. We promote lifelong learning in our community by providing books, programs and technology. To ensure the library’s budget allocation is sufficient to meet the needs of the community. To provide adequate and competent staffing to meet public service and management needs. To better the library experience for the community by providing a safe, accessible and fully functional library facility. To provide access to a robust collection of books and other materials that serve as a valuable resource for learning, information and pleasure. To provide programs for children and adults which promote lifelong learning, cultural enrichment, and community belonging. To utilize various types of appropriate technology to meet the information needs of the community and the administrative needs of staff. To promote the professional administration of the library. To encourage the public’s use of the library. In the early 1900's, the library moved to its current location at 201 S. First Street with all 617 books in its collection. This building originally served as the Roslyn Athletic Club, built for workers by Mr. B.F. Bush, manager of Northern Pacific's coal operation. The building featured a bowling alley and a gymnasium. The YMCA and later the Soldiers and Sailors Club occupied the building for a short ime, and then the City took over the mortgage in 1918. The building has come to be known as the Old City Hall. The Library was housed in a small center room measuring 10 x 27 for over 60 years. In the 1970's it moved to the larger room in the southeast side of the building. In 2002, the library received computers through a Bill and Melinda Gates Foundation grant, and the original middle room was reclaimed to make way for a computer lab for patrons and a technical services area for staff. The City of Roslyn is in the midst of a bold Building Renovation Project to rehabilitate the Old City Hall building, which will make the building ADA accessible, rebuild and anchor the foundation, update wiring, mechanical, plumbing and heating, expand the footprint of the library across the entire front of the first floor of the building, and create a community center out of the gymnasium space. The city's administrative offices will be housed on the ground floor, along with a smaller meeting room to be used for community groups and for the City Council Chambers. When fully complete, this unique building will serve as a true community and civic center for the City of Roslyn and its residents. For more information visit Building Renovation Project. At the end of 2015, the library's collection consisted of approximately 11,000 physical materials, including books, videos, music CDs, books on CD, newspapers and magazines, and approximately 33,000 e-books and e-audiobooks. The children's section has a wide variety of classics, multi-cultural books and new award winning picture books. There are special collections for early literacy (birth to five year olds), beginning readers, chapter books and series for young readers, graphic novels for kids and for teens, and books for teens and young adults. There are also audiobooks, movies, and music CDs for children and young adults. For adults, there is a non-fiction section full of current, popular works, do-it-yourself reference books, biographies, a Pacific Northwest collection and a Local History collection. Current bestsellers, literary books, mysteries, science fiction, westerns, romance, and large type books make up the adult fiction section. A catalog of the library's collection is accessible by visiting https://ellens.ent.sirsi.net/client/en_US/RPL/. Reserves for library materials that are on the shelves can be placed by emailing rpl@inlandnet.com or by calling the library at (509) 649-3420. Materials that are checked out and all checked out materials can be renewed online through the catalog with a current library card and pin code. For help, contact the library at (509) 649-3420. There are four computer stations and one preschooler iPad available for the public. Use of these computers is limited to 30 minutes when others are waiting. Wireless Internet access, desks and seating is available for patrons to use their own computers. For a copy of the Internet policy, please see the Internet Policy below. There are several information databases available to library patrons for free. Users must be inside the library to access these databases at this time. To find out more, visit the Reference Desk. At the Reference Desk, patrons can also access quick web links that answer a variety of commonly asked reference questions. To request one-on-one help with using these services, please contact the library at rpl@inlandnet.com or (509) 649-3420. Printing, photocopying and faxing services are available for a fee. The Roslyn Library offers outstanding programs for learning that lasts a lifetime. There's always something happening at the Roslyn Library. For a list of what's happening now, visit the Events & Programs page. The Board's goals guide the library into the future. Each year the Board reviews our long range plan and prioritizes our goals and objectives at an annual retreat, a half-day planning meeting held at a Board member’s home. Since 2001, the Board has cooperated and assisted the City of Roslyn in their quest to renovate the Old City Hall / Library building. This is an exciting $3 million project that will update mechanical, electrical, and structural elements of the building, install handicapped access, expand the footprint of the library, and open the old gymnasium for a community center. Phase I of this project was completed in 2011, with a new foundation and heating system installed, among other things. Phase 1b was finished in 2012 and made the ground floor fit for temporary occupancy by the library, city administration offices and City Council as we work to raise money to finish the first floor, the permanent home of the library and community center. Click here for more information about the Building Renovation Project. The purpose of the library’s circulation policy is to make the best possible use of the library’s collection by the greatest number of borrowers. The Roslyn Public Library Board welcomes the use of the Roslyn Public Library by individuals of all ages to support their personal, educational, and professional needs. Library cards, with borrowing privileges, will be issued to Kittitas County residents without charge, as long as they reside within a jurisdiction that pays for library services, such as cities with existing library services, cities that contract for library services, or the unincorporated areas of the county, if the Board of County Commissioners contracts for library services. A patron must have a Roslyn Library card issued to them, or be listed as another borrower on a Roslyn Library card, in order to check out library materials. Applicants who request a library card from the Roslyn Public Library must show personal identification that includes verification of current street address. Examples of acceptable identification are a valid driver's license, state ID card, a utility bill in the person’s name, a rent receipt or property tax statement, vehicle registration, bank or credit account statements, or official documents similar in nature to the preceding examples, all of which must show the applicant's name and current street address. Temporary residents may obtain a “Temporary Library Card” by providing proof of a local address and their permanent home address with valid personal identification. Temporary cards are valid for three months and are renewable at the Librarian’s discretion. Temporary card-holders enjoy all borrowing privileges except the use of Inter-Library Loan. Temporary card-holders are limited to 3 items checked out at one time. The individual who is legally authorized to enter into contractual obligations for the organization will fill out an Institutional Library Card Application form and submit it with a letter on organizational letterhead giving authorization for the library to issue or renew a card to the organization. Names of authorized users within the organization must be stated. The organization must notify the library of changes in authorized users and contact information. The Institutional library card will be kept at the library circulation desk, and the library will require photo ID from authorized users at the time of check out. No items will be loaned without presenting ID. The organization is responsible for lost or damaged items checked out using the Institutional library card. If the organization allows library materials to leave the organization’s premises, the organization retains the responsibility for the materials. Residents of other cities within Kittitas County may be issued a Roslyn Library card, per the 2009 Reciprocal Borrowing Interlocal Agreement Between All Cities’ Public Libraries in Kittitas County, as long as they hold a library card in good standing from their home library. All Roslyn Library policies and procedures must be followed for Roslyn Library materials, and materials borrowed from the Roslyn Library must be returned to the Roslyn Library. Items not returned to the Roslyn Library may incur user fees. In the case of cities that do not contract for library services, a $35 annual fee for Roslyn Library borrowing privileges will be imposed. Reciprocal borrowing privileges do not extend to residents of cities who do not provide library services, either through a library or a contract; residents must pay annual fees at each library from which they request borrowing privileges. 4. Provide timely notification to the Roslyn Public Library of any change of address and phone number. Children under 18 years of age must have their parent or guardian’s signature and proof of address to apply for a library borrower’s card. A parent or guardian's signature on a child's application form constitutes his\her permission for the child to have a borrower’s card, and signifies a willingness to assume financial responsibility for all material checked out on the child's borrower’s card. Lost library borrower’s cards can be replaced for a $1.00 charge. Borrower’s cards expire after one year, to ensure that address and contact information remains current. Cards are removed from the system after three years of inactivity. The purpose of this policy is to assure Roslyn Public Library patrons that their privacy will not be abridged in their quest for information. All records, formal and informal, in the Roslyn Public Library relating to individual patron registration and circulation of materials by specific patrons are considered to be confidential in nature. The library will protect the privacy of any borrower who uses the library to the extent allowable by law. The library shall not make inquiry into the purposes for which a patron requests information, books, or other library materials, except insofar as the library may be helpful to such patrons in finding what the patron wants. The library shall not release any information about its patrons or their reading to individuals or to any private or public agency, local, state or federal, without an order from an appropriate court of law. For more information on the Patriot Act, please see http://www.lifeandliberty.gov/. The library will not disclose any library record which discloses or could be used to disclose the identity of a library user. Information concerning unreturned overdue library materials checked out by individuals may be divulged or made public by the library in seeking to recover such materials. Books may be checked out for three weeks with no limits on the number of books for most borrowers. New borrowers are limited to (3) materials at their first check-out. Non-residents are limited to (3) materials checked out at once. Other borrowers may be restricted as well, at the discretion of the library staff. Three books on CD, three music CDs, three DVDs, and three VHS tapes each may be checked out per borrower’s card with a one renewal limit. Three magazines may be checked out per borrower’s card for one week. Equipment that belongs to the Roslyn Public Library is not generally available for borrowing outside of the library facility. However, such property may be checked out at the discretion of the library director and by signing the “Borrowing Agreement for Library Equipment.” All equipment and peripherals must be returned to the library facility within 7 days of check out. Borrowers are responsible for replacing damaged or lost equipment or peripherals. Books and other materials may be renewed by phone, online, or in person. An item that has a reserve or “Hold” on it may not be renewed. Audio-visual materials may be renewed only once. To make the reference collection accessible for the use of the librarian and the public, these materials must be available in the library at all times. For this reason, most items are not generally circulated. A photocopier is available for patrons to copy information from the reference materials. Patrons are encouraged to discuss their informational needs with the librarian. The Roslyn Public Library will attempt to recover books and materials that have not been returned on time by its patrons. The overdue item will be counted “Missing” by the ILS after 180 days. If the item is not recovered, the ILS marks it “Lost” after another 180 days. In the case of audio/video materials, once an item in that format is removed from the ILS system, the borrower will be charged a processing fee of $5.00, regardless of whether the item is returned after it was removed from the ILS system. All money that is collected to replace materials or for processing costs will be given to the City of Roslyn to be used to replace the materials. The librarian will keep track of the materials to be replaced. A different title or media may be purchased as replacement if it is deemed necessary or desirable by the Librarian. For materials that have been damaged beyond reasonable repair, the patron will replace the item or pay to replace it within 30 days. If the item is not replaced or paid for by that time, the patron will lose his or her library privileges. A patron may request material from another library through inter-library loan when the material is not available at the Roslyn Public Library. After any loan request has been mailed to a lending institution, the patron is responsible for all loan charges and postage even if the patron cancels the request for the inter-library loan or does not pick it up after notification. Inter-library loan material will be held for fourteen days after the patron has been notified that the material has arrived. On the fifteenth day the material will be returned to the lending institution and the patron's record will be posted for any charges. All circulating items may be reserved. Reserved materials will be held for seven days after notification. The material will then be shelved or turned over to the next person on the reserve list. Any exceptions to the above procedures will be only at the discretion of the librarian. Adopted by the Roslyn Public Library Board of Trustees, May 6, 2002. Revised June 18, 2005; January 3, 2007; March 5, 2008; April 10, 2010; May 23, 2012; June 11, 2014. Libraries have a clear and unalterable responsibility for the dissemination of knowledge and of making knowledge available to all individuals. Freedom in the public library is the corollary of freedom of speech by the First Amendment of the Constitution of the United States. The freedom to read is essential to our democracy. Historically, the public library was developed as an agency for the free, public, informal education of the individual. Books are among our greatest instruments of freedom and knowledge. They are the natural medium for the new idea and the untried voice, from which come the original contributions to social growth. They are the source of mankind's history, knowledge, and ideas from the beginning of the recorded word. They are essential to the extended discussion which serious thought requires, and to the accumulation of knowledge and ideas into organized collections. The Roslyn Public Library subscribes to these ideals. Libraries do not advocate the ideas found in their collections. The presence of a book, magazine, or other materials in the library does not indicate an endorsement of its contents by the library. It is in the public interest for libraries to make available the widest diversity of views and expressions, including those which are unorthodox or unpopular with the majority. The Board of Trustees of the Roslyn Public Library believes that, while everyone is free to reject for themselves materials of which they do not approve, they cannot restrict freedom of others to read or inquire. In the case of “graphic novels”, many come with ratings from the publisher on the back of the book. This is similar to a movie or video game rating. This is informational to the reader and the guardian of the reader due to the picture content. The Library Bill Of Rights, American Library Association Council, 1996. Intellectual Freedom Statement, The Washington Library Association, 2001. American Library Association Code of Ethics, American Library Association Council, 1995. Freedom to View Statement, American Library Association, 1990. Freedom to Read Statement, American Library Association, 2000. Copies of these documents are a part hereof. The Board of Trustees of the Roslyn Public Library recognizes that within Roslyn and the surrounding area there are groups and individuals with widely separate and diverse interests, backgrounds, cultural heritages, social values and needs. The Board further recognizes that the library was created to serve all of the people of Roslyn and the surrounding upper county area regardless of age, race, creed, national origin, or political or social views. The objective of the Roslyn Public Library is to select organize, preserve, and to make freely and easily available to the people of the community printed and other materials, within the limitations of space and budget, which will aid them in the pursuit of education, information, research, recreation and in the creative use of leisure time. Selection of all library materials shall be done by the Librarian, who may, at times, solicit recommendations from a person or persons with specific knowledge of a collection. Book suggestions are welcome and encouraged from the community, and we endeavor to respond to all requests either through purchases, interlibrary loans, or other means. The Librarian has final approval of selections added to the collection. Selection of library materials shall be made on the basis of interest, information, and enlightenment of the people of Roslyn and the upper county and to foster the communication of ideas, to provide opportunity and encouragement for all to educate themselves continuously, to help people equip themselves for useful occupations and practical affairs, sharpen their competence to form sound judgments, increase their appreciation of their cultural heritage, and enrich their leisure hours. Factors to be considered shall include timeliness, effective expression, significance of subject, sincerity, responsibility of opinions, and evaluations in professionally recognized critical guides. No materials shall be excluded because of race, nationality, or the political or social views of the author. Library materials may be sequestered for the purpose of protection from damage or theft. The library will accept gifts provided that they meet the general criteria for selection of materials and are in fair condition. Any books not selected for the collection may be sold for the benefit of the Roslyn Public Library. The ratio of books purchased within specific subject areas will be determined by demand and availability and budget. Serious works which present an honest aspect of life or of some human problem are selected for their positive values and are not necessarily excluded on a basis of coarse language or frankness. The library recognizes and accepts its responsibility to provide books and materials for children and young people to broaden their educational background and experience, to open to them the profound experience of reading as a prerequisite and necessary tool for living, books and materials that enrich the quality of thought and expression and that provide recreation. To this end the collection will include as wide a selection as possible with due consideration given to the criteria of value and integrity, background and information authenticity, and style and presentation of the subject matter involved. It is not the purpose of the collection to take the place of the elementary, junior high, high school or college library, although many of its books and materials may be used by students to augment school library collections. It is the responsibility of the public school system to supply these curriculum materials. The Board of Trustees of the Roslyn Public Library further recognizes that discarding no longer useful materials from the collection is as important a part of maintenance of the library collection as the initial selection. Therefore, the discard policy of the library shall include the same factors considered for selection. 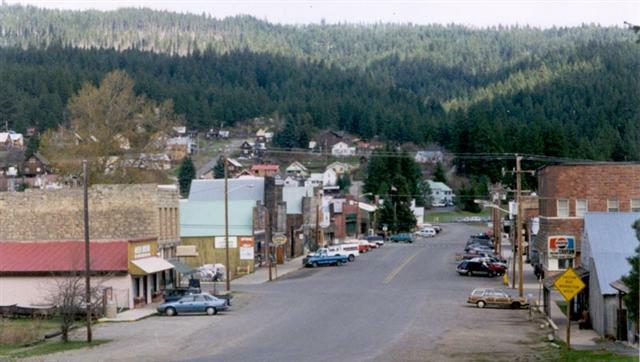 This policy is dedicated to a selection of those materials of the highest quality in order to assure an objective collection for the residents of the City of Roslyn and upper Kittitas County, the selection to be based upon principle rather than personal opinion, reason rather than prejudice, and judgment rather than censorship. In order to maintain a balanced collection, the Roslyn Public Library reflects differing points of view. The presence of an item in the library collection does not indicate library endorsement of a particular belief or an author’s point of view. Staff is available to discuss concerns and identify alternate materials that may be available. If a patron's concern is not satisfied through discussion with staff, a formal request can be put in writing. While an item is being reviewed, copies of it will remain on active status in the collection. The Director or other staff member or volunteer will give the patron the form entitled "Request for Reconsideration of Library Materials” along with a copy of the Collection Development Policy. The completed form, along with notes of any oral interviews with the patron, will be referred to the Director. The material in question will be reviewed by the Director and professional reviews will be checked if possible. Within four (4) weeks a written or oral reply of the Director's decision to retain or discard the materials will be made to the patron. If the patron is not satisfied with this response, he/she may bring the matter before the Library Board. Upon receiving your request for review, the Board will handle the matter as a body at a regular or special meeting of the Board. Within eight (8) weeks a written reply of the Library Board’s decision to retain or discard the materials will be made to the patron. Adopted by the Roslyn Public Library Board of Trustees, May 6, 2002; Reviewed May 5, 2007, Revised May 9, 2009. The Internet is a constantly changing and unregulated media, allowing access to ideas and information from throughout the world. Since it is a global, electronic network, there is no state/county/local control over its contents. While the Internet offers access to a wealth of materials that are personally, professionally, and culturally enriching, it also enables access to some material that may be offensive, disturbing, and/or illegal. The library has no control over the reliability of the Internet and is not responsible for its content (from the Ellensburg Public Library Internet Policy, 2005). The Roslyn Public Library requires that parents or guardians sign the Internet User Agreement for any children (under 18 years old) wishing to use the Internet. Library staff is not responsible for what children access, what games they play, or for the email they send and receive. A parent or guardian is the only appropriate supervisor of their child’s use of the Internet. The library does not filter content accessed on the Internet. By signing the agreement, parents or guardians take full responsibility for their child, including damage to equipment caused by improper care or vandalism. Individual users may sign up for 30 minute slots, and my continue if no one else is waiting. If no one has signed up in advance, slots will be given on a first-come, first-served basis. Special time limits may be put in place at the discretion of library staff, as in the case of youth playing Internet games. Internet users must understand that this is a public library and that they are not allowed to access sites with content inappropriate for children. Accessing inappropriate websites may result in the loss of computer privileges. The Board of Trustees has adopted statements that adhere to the principles of intellectual freedom; however, in the case of Internet use, it is the Board’s policy to restrict certain kinds of viewing in our public facility. Inappropriate use shall be defined at the discretion of library staff and may include viewing pornographic and/or violent material. This policy in its entirety also pertains to people using their own computers to access the library’s wireless Internet connection. Library staff may ask wireless users to refrain from viewing streamed audio or video or downloading large files due to bandwidth limitations. Wireless users are responsible for configuring their own equipment to access the wireless network; however, library staff will be available to assist you to the extent of their abilities. Information is unencrypted and not protected using the library’s wireless network. All Internet users are responsible for what they view, download, upload, purchase and communicate while using library computers. PLEASE ACCESS THE INTERNET RESPONSIBLY AND SAFELY. Altering programs, files, and the “desktop” and downloading programs without permission are strictly forbidden and may result in the loss of computer privileges. There shall be no more than 2 people at a computer station at one time, unless authorized by library staff. Library staff and volunteers are available to assist with research, or to conduct reference searches for patrons, as time permits. The Library’s Internet Service Provider is Inlandnet, and the Library complies with their rules and regulations. They can be found at the Inlandnet AUP, http://www.inlandnet.com/policy.html. Computer users must notify staff immediately of any equipment or software malfunction. If you need assistance, please ask. Adopted by the Roslyn Library Board of Trustees 2000, Revised August, 2005, Revised November, 2008. The Roslyn Public Library offers an online collection of digitized photographs related to the history of the Roslyn area. This collection is called the Roslyn Heritage Collection. The collection was made possible through the Washington Rural Heritage project of the Washington State Library / Office of the Secretary of State. The Roslyn Public Library is not responsible for the improper or illegal use of any copies of materials from its collections. It is the user’s responsibility to guard against the infringements of rights that may be held by others and for clearing reproduction rights and copyright restrictions. The Roslyn Library does not claim to control copyright of all of the pictorial, textual, audio, or video materials in its collections. The librarian will provide such information as the library has, as a service to aid customers in determining appropriate use of an item, but that determination ultimately rests with the customer. The Library provides these materials for non-profit, educational, personal, or scholarly purposes, and transmissions or reproduction of protected items beyond that allowed by fair use requires the written permission of the copyright holders. The Roslyn Public Library gives no exclusive rights for the use of its material. Permission is granted for a one-time use only. Any subsequent use of an image requires another written permission of the Library. The Roslyn Library does not allow its images to be used out of context or modified in any way that affects the historical integrity of the image. The contents of Washington Rural Heritage (WRH)—contributed by libraries and their collaborative partners—are publicly available for use in research, teaching, and private study. All items may be protected by the U.S. Copyright Law (Title 17, U.S.C.). Usage of some items may also be subject to additional restrictions imposed by the copyright owner and/or the holding institution. Transmission or reproduction of a protected item requires the permission of the copyright owner and/or the holding institution. Requests for permission should be addressed to the organization identified in the "Rights and Use" field. The nature of historical, archival and manuscript collections often make it difficult to determine the exact copyright status of an item. Whenever possible, the holding institution or repository provides all known information about copyright owners and other restrictions in the information, or metadata, associated with digital items. The holding institution provides this information to assist users in determining the copyright status of an item. Ultimately, however, it is the user's responsibility to use material according to the terms governing its use. Institutions participating in WRH provide descriptive information for each item digitized to assist users in determining the historical importance and cultural context of an item. In some instances, the holding institution has incomplete information about authors, publishers, or other persons associated with the materials in their collection. These institutions welcome comments from anyone who may have additional information about any of the items in the collection, especially copyright owners who are not properly identified, so that appropriate information may be provided to researchers and teachers in the future. In addition to contact information, each digital item has a place for users to post comments. Materials may not be used for any commercial purpose without prior written permission from the copyright owner and/or owning institution. The Washington State Library (WSL) does not have authority to grant such permission. Materials may be used for purposes of research, teaching and private study. Please check the item record for the “Contributing Institution” and “Rights and Use" to determine who to contact for permissions. Materials may not be mounted on an additional server for public use, or for use by a set of subscribers without prior written permission from the copyright owner and holding institution. The institutions with digital collections hosted in WRH provide copyright information as a service to the general public in determining the proper use of an item. Users of this site are ultimately responsible for determining copyright restrictions and for obtaining written permission. The Washington State Library (WSL), a division of the Office of the Secretary of State (OSOS) will not be held responsible for any direct, indirect, consequential, or incidental damages arising out of or relating to the use of the information and materials linked to or found on this website. If the copyright of an item in a collection is in dispute, WSL/OSOS will remove the digital item from the collection until the dispute is resolved. 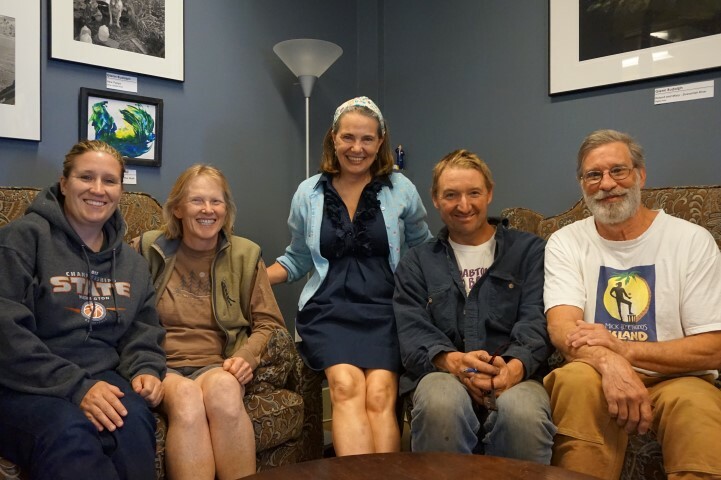 Adopted by the Roslyn Library Board of Trustees, May 23, 2012. To accomplish the mission of the Roslyn Public Library, it is necessary to provide a comfortable and safe environment. Toward this end, the Board of Trustees has developed a “Library Use Policy” to define acceptable conduct within the Roslyn Library and by which patrons of the library may use the library facilities and services. These rules will be applied without discrimination and in the best interests of all of the library’s users. People using the library shall not interfere with the ability of others to use the library or interfere with library staff’s performance of their duties. Behavior which demands constant attention of the staff and/or disrupts service to others is not permitted. Conversation and activity should be kept to a level that will not disturb others. Examples of disturbances may include, but are not limited to: Shouting, cursing, listening to loud music on headphones, loud conversations, and talking on cell phones. Disruptive misconduct is not allowed. Examples include, but are not limited to: Assault; disorderly conduct; disturbing noises; harassment, physical or verbal; indecent exposure; inappropriate displays of affection; littering; loitering; possessing deadly weapons; pushing or shoving; spitting; staring at, lurking or following people; taking other people’s things; threatening behavior, comments or gestures; verbal abuse of people; throwing things, running, climbing, and pulling items off shelves. Users of cell phones or other mobile communication devices should set their devices to vibrate or lower the volume of the ring in the library. Calls should be conducted outside. Use of tobacco products is prohibited within the library building and within 25 feet of the public entrances. Alcoholic beverages are prohibited. Exceptions may be made at certain special events at the discretion of the library director. Illegal drugs are prohibited at all times. Food and non-alcoholic drinks are welcome in the library; however, they are prohibited at computer stations and around electronic equipment. Patrons are responsible for any damage done by their food or drinks. Appropriate attire is required, including shirts and shoes. Athletic equipment, such as roller blades, shall not be used in the library. People whose body odor is offensive, including that resulting from a lack of bathing or excessive perfume, may be required to leave the building. Animals are generally not permitted in the library; however, they may be included in special library programs. Service dogs are always welcome in the library. Solicitation, vending, and distribution of petitions, surveys or donation requests are not permitted in the library or on library grounds without the prior consent of the library director. Anyone involved in the theft, defacement or mutilation of library materials or property will be subject to arrest and prosecution. Only staff and authorized individuals are allowed in staff areas. The Roslyn Library aims to foster a love of books and learning in our area’s children. We do this by welcoming them into a library that is full of the materials and services that will engage them. The library is free and open to unaccompanied children who are independent enough to use the resources for recreation, information, and education. Library staff and volunteers are not responsible for the care of unsupervised children. Parents should be aware that the library is a public building open to all individuals. It is not the library staff’s function or purpose to provide supervision or to care for children while parents or caregivers are outside the library or in another part of the library building. Staff will not monitor children leaving the library. At all times, caregivers are responsible for the conduct and safety of their children on library premises. Caregivers must provide appropriate supervision based on the ages, the abilities and the levels of responsibility of their children. Children under the age of six should be accompanied by an adult. Parents are expected to be aware of the opening and closing times of the library, bearing in mind that these can and do change. Power failures or other emergencies can occur and require unexpected closing of the building. Children left alone in the library, or on library grounds, could be vulnerable. If a child is not able to leave the library without an adult, he/she should not be in the library without an adult. Children are expected to adhere to the same standards of conduct expected of adults. All library users are required to respect library property and staff, and to act in a manner appropriate to the use and function of the library. Children who are not using the library appropriately or who require excessive staff attention or supervision will be asked to leave the library. Toys must remain in the children’s area. Caregivers are expected to ensure that toys and books are picked up before leaving the library. The library is not responsible for personal possessions. The provisions of this Library Use Policy will be construed and enforced by the librarian at his or her discretion. Enforcement may range from asking the patron to leave for the day to the patron’s permanent loss of all library privileges and / or legal prosecution. The Board of Trustees reserves the right to amend the Library Use Policy at any time. Adopted by the Roslyn Public Library Board of Trustees, January 3, 2007. Revised May 3, 2014. The Roslyn Public Library welcomes donations of all types when they further the mission, goals and policies of the Library. The gift should be consistent with the Library’s mission to promote lifelong learning by providing books, programs, and technology. Donors understand that all gifts become the property of the Library, which assumes responsibility for and the right to determine its use, maintenance, and disposition. In the event the gift is deemed inconsistent with library goals and policies or is otherwise found to be unacceptable, the Library reserves the right to decline any gift. Gifts of books or other library materials may be considered for the Library’s collection if they meet the general criteria for selection in the Roslyn Library’s Collection Development policy, as established by the Roslyn Library Board of Trustees. The Library does not provide special shelving or separate locations for gift items. Gift books may be plated with a library bookplate if the donor wishes. Gift items, including memorials, are weeded according to the same criteria as used for purchases. Books and other materials that are not added to the Library’s collection will be passed on to the Friends of the Roslyn Library, a non-profit organization that raises funds for the Library. Gifts of funds may be designated for a particular purpose. A portion of gift funds designated for the purchase of books or other library materials may be used, if necessary, to defray the cost of processing the materials. The library seeks to build a collection of local art and to serve as a venue for viewing rotating exhibits of art. Gifts of art are accepted and displayed at the discretion of the Librarian, the Library Board, and/or an art committee. As with other gifts to the library, gifts of art work will be deaccessioned with all due respect to the art and the artist. Art may be displayed at the library on a temporary, rotating basis, at the discretion of the Librarian. In these cases, it is the responsibility of the artist or organization hosting the artist to insure the works of art against damage or loss. The Library is not responsible for lost or damaged art. The artist or organization hosting the artist may be responsible for hanging and labeling the art to the library’s design specifications. The artist or organization is responsible for rotating the art when requested by the Library. The Library will not house or store rotating art. The library staff or board may not give appraisals for any reason. Appraisals for gifts or bequests must be made by an independent person or agency, as required by the Internal Revenue Service. The donor is responsibly for the cost of the appraisal. Gifts may qualify for a charitable deduction for federal income tax purposes under Section 170 of the Internal Revenue Code. However, the Library accepts no responsibility for establishing or verifying the value of donated items for that purpose and the Library cannot determine actual deductibility. Donors are referred to their tax consultant for any questions regarding deductibility. Adopted by the Roslyn Library Board of Trustees, August 28, 2012, Revised May 3, 2014. · Must be 18 years old. · Must have a valid Roslyn Library card. · Only the primary cardholder may check out an e-reader. 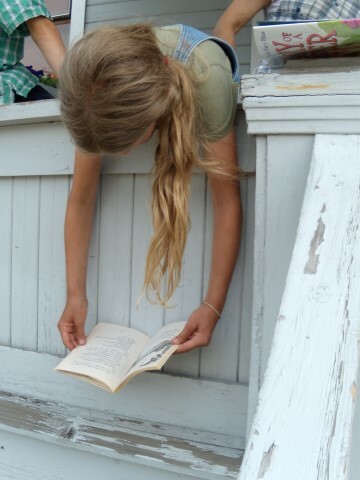 · Only one e-reader can be borrowed on a card. · E-reader will check out for a period of 21 days with 1 possible renewal. · E-reader must be returned to library staff. E-reader must not be returned in the book return outside or inside the library. A fine of $25 will be charged for an unnecessary risk with this type of return. · Library staff will review contents of the e-reader kit with the patron at check-out and check-in. · Borrower must sign the E-reader Services Agreement.